Since 1998 it has been my great pleasure to work in a field I truly love. I am truly my happiest when I am meeting new people and practicing massage, bodywork and energy healing. It has been my personal journey of healing to explore the mind/body connection in depth and from that realize that our outer conditions have their beginnings in our thought processes and belief systems. When we have understanding of how the mind contributes to our physical problems, we can take a big sigh of relief because the mind can be changed! In addition to wonderful modalities like Swedish, Deep Tissue, Sports, Shiatsu, Reflexology and Lomi Lomi massage, I have achieved great results using Quantum Touch, A Touch for Health (applied kinesiology), BodyTalk, The Emotion Codes, EFT, PSTEC and acupressure massage. Bringing the mind, body and spirit back into balance leaves the client in the best possible place for continued healing. My initial training came from The Body Therapy Institute in Santa Barbara Ca. where I was blessed to learn from some of the finest instructors of that time. The beautiful and healing art of massage first caught my interest when I was 13. After a strenuous sports activity, I would trade massages with friends and occasionally receive a massage from a professionally trained massage therapist. Later, while in college, having a positive impact on people’s lives became my life purpose and in my senior year I decided I wanted to attend massage school instead of pursuing a career associated with my chemistry degree. This moment of clarity occurred one day in my medicinal chemistry class as we were learning about the side effects of pharmaceutical treatments. It dawned on me that my path to helping people would be to use alternative healing approaches instead of surgery and pharmaceuticals. I attended Hokulani Massage Academy on the Big Island of Hawaii immediately after college and once I dove into learning how to share the healing ways of massage, I immediately knew I was in harmony with my passion. Massage is a way to keep the body in check by breaking up congested areas and preventing others from forming. We often underestimate how capable our bodies are of healing themselves and I strive to work with the body to prevent injuries and to help those that have already occurred. Releasing the tension in the body helps release the stress we hold in the mind. It helps us think more clearly and calmly, thereby, allowing us to deal with everyday stresses in a healthier way. My goal is for the whole body to work together in harmony so it can function at its optimum level. I enjoy working with each person to create a massage that will meet its specific needs. As a massage therapist, I am constantly learning and growing to provide my clients with an experience that leaves them feeling lighter, relaxed, and renewed. It is truly a blessing to be able to offer the Spirit of Aloha through my hands in one of the most beautiful places on the earth. 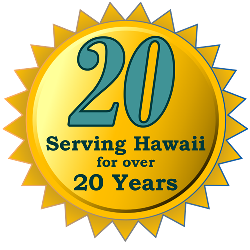 I moved to Maui in 2012 to attend the Maui School of Therapeutic Massage and graduated from the 1,000 hour advanced program. The first time I received an authentic Lomi Lomi massage, I felt all the elements of the island come into play. The soothing, flowing motion like the waves of the ocean with the firmness and depth of the mountains. The result was a profound opening of my body, a softening of my heart and a deeper connection with the Island. I wanted to share that with others and have dedicated over 250 hours to Lomi Lomi Massage training. Since that profound experience, I have found my home here on the Big Island of Hawaii where I continue to learn and grow both personally and as a therapist. My intent in my offering is to share the Aloha Spirit with you and to help facilitate a deeper connection with yourself and with the Island. The focus of my work is centered around releasing and opening up the spine and all of its attachments because this is where it all begins. My background of training includes Deep Tissue, Swedish, Sports Massage, Pregnancy, Hot Stones, Structural Integration, Back Walking, Lymphatic Drainage, among other things. I am currently training in Myofascial Trigger Point Therapy to address pain and dysfunction. I use a combination of modalities in each treatment depending on your needs and desires. My intent is to share the Aloha Spirit with you and to help facilitate a deeper connection with yourself and with the Island. I look forward to meeting you! Mahalo. I am an experienced and passionate therapist who graduated from the 1,000-hour Medical Massage program at The Hawaiian Islands School of Body Therapies in Kona. I learned the art and skills of massage under the guidance of renowned teacher and Massage Therapy Hall of Fame Inductee, Lynn Wind. It was my great fortune to train under a master teacher in the remarkable healing climate of the Big Island which laid a strong foundation of skill in the many forms of body work that I now offer. The various modalities I am trained in include: therapeutic, Swedish, deep tissue, sports massage, injury treatment, reflexology, Shiatsu, aromatherapy, craniosacral, lymphatic drainage, and myofascial release. Several years ago, I founded and managed Body Works providing spa services for the Hapuna Prince Resort on the Big Island. I also managed spas for Boyne Resorts in northern Michigan and recently moved back to the Big Island because despite the beauty of Lake Michigan, I answered the call and returned to Paradise (the Big Island). The mana ‘aina of Hawaii, or spirit of the land, augments the power and efficacy of massage therapy. I feel privileged and deeply grateful to practice the healing arts in such a magical place. As an athlete and long-time receiver of bodywork and alternative medicine, observing the benefits of these modalities led me to the practice. After receiving my B.S. in Kinesiology from the College of William and Mary, I studied and apprenticed at Hokulani Massage Academy in Waimea. My massage blends lomilomi, shiatsu, swedish, and reflexology on a canvas of deep tissue and structural kinesiology. I was born and raised in Hilo on the Island of Hawaii to the sound of Hilo’s waterfalls in Ka Nahele (the rain forests). My ancestors reside in the sound of each rain drop as it falls from leaf to leaf. Growing up in this magical place of great Mana (powerful life essence) has inspired and charged my being to do great good for others. Assisting people in their healing, through my hands, was gifted to me through my family lineage and massage therapy came natural to me with great proficiency. Through a series of mysterious events, I discovered that massage is one of my most cherished purposes … massage is my Ala (path) in life. Wonderful and unbelievably great things were happening to people after they left my massage room. At massage school, more and more people were telling me that problems they had for years were actually gone. As positive results with my clients continued, I began to realize that something more than the “usual” massage was happening. Whether I am working on someone with a physical injury, someone going through emotional pain or a combination of the two; The Spirit of Aloha and gratitude fills my heart greatly that I can be an instrument of healing for that person in that moment. There is still much pain in the world in various forms so if I can help ease that pain for you through massage and with The Spirit of Aloha, I am grateful for the opportunity to make a difference for you. Mahalo nui loa (thank you so much) and I hope to meet you soon. I am excited and grateful to massage in Paradise! I spent over 20 years on The Island involved in many other other activities including horseback tours and the polo games at Waiki’i Ranch. In 1998,I graduated from the world renowned Hawaiian Islands School of Body Therapies with Lynn and Peter Wind. By 1999, I was established in Seattle at a Naturopathic Center and eventually ended up on Seattle’s East side at various chiropractic clinics and physical therapy centers mainly doing injury work with insurance companies. While in Seattle, I also trained and worked with the Paule Attar Spa in downtown Bellevue. After almost 17 years, the Big Island called me home. I am so happy to have switched gears in working mainly with guests at the resorts on this beautiful Island. I have extensive injury medical massage training as well as Swedish, Lomi Lomi, sports massage, and I particularly love using the Chinese cupping method to access the connective tissue and myofascial system. You will literally be in good hands with me! I was born with an insatiable curiosity for the holistic healing arts. With an early fascination with the body’s systems, it seemed natural that I learned the power of breath work and the mind-body connection. I began my journey in 2012 with an introductory course in Thai Massage, led by Sabai Massage in Maui. In 2013, I enrolled at the Aloha School of Massage Therapy for a year-long course where I developed a concrete foundation in Swedish, Lomi Lomi, deep tissue, reflexology, pre-natal, and orthopedic massage. The Aloha School also valued other forms of alternative modalities and provided an introduction into energy medicine. I was fortunate to receive training in the healing styles of Reiki, Jorei, and Orthobionomy from an eclectic group of talented practitioners. My bodywork is the culmination of intuitive massage therapy and energy healing to promote deeper relaxation and alignment in the mind-body system even after the treatment. Being Japanese born and Hawaiian by heart, Mana, the energy of this island, led me to the passion of the healing arts. Since 2002, I have been practicing and leaning many healing and massage techniques and modalities from around the world. My massage sessions are a blend of various touch and penetrating energy; Island style. Each culture has its unique expression of philosophy. I love the simplicity of Hawaiian Language yet with its very deep meaning. “Kina’ole” can be described as, “Doing the right thing, in the right way, at the right time, in the right place, to the right person, for the right reason, with the right feeling the first time. I do believe that everything happens for a reason and, therefore, I treasure each meeting and massage session as an opportunity to strive for excellence with “Omotenashi” (Aloha). While being trained as a dancer at North Carolina School of the Arts I was taught massage techniques for dancers. I was certified in reflexology and taught basic meditation to the mentally challenged. I began a Reiki and Swedish massage apprenticeship in Colorado with a blind teacher who taught me to “see” with my fingers, elbows, forearms, and knees.There I found a heightened approach to body work. Since then, I have traveled the world seeking advanced practices in massage, yoga, meditation, skin care, and holistic healing modalities. Originally from La Jolla, CA, I spent 15 years in emergency work; as a lifeguard, paramedic and an emergency room technician. I followed up that experience working in physical therapy and massage therapy gaining advanced specialized knowledge in pain and injury therapy. As a massage therapist, I free up restrictions and imbalances the body is manifesting because the human body has remarkable healing powers when fluids can move and muscles can flex and relax and that is my objective for you. I was trained by a two-time Olympic massage therapist. My style of massage is called “Muscular Massage Therapy” that requires knowledge of muscular anatomy and shape so that I can isolate the muscle and specifically compress and squeeze waste products out by manipulation that is intricate and specific. These intricate “hand on” therapies will accentuate and enhance the lymph and venous blood flow, cleanse the muscle tissues, release fluid toxins and encourage faster recovery. Muscular Massage Therapy is extremely effective for relaxation, pre-event competition, post-event recovery, rehabilitation from injury, headaches and movement related pain and dysfunction. It is good for all since it enhances the normal bodily functions to promote optimum flow of bodily fluids. The best cure for injuries is maintenance and prevention … Health is a daily habit! I can also perform other various massage styles, such as: deep tissue, Lomilomi, Swedish, medical sports and hot stone massage. And, along with all these healing advantages and benefits of massage comes the relaxing and wonderful feeling of being pampered because you deserve it! Human touch has been proven to increase happiness and health in the body. From an early age I enjoyed helping people and making them happy. I found that using my physical strength and touch to help people was one of my gifts. When there is pain in the body it is hard to be happy and live a high quality of life. I take great satisfaction in helping people relieve pain and relax into their bodies. I was drawn to the Big Island in 2014 to study massage at the Big Island Academy of Massage, in Hilo. At the massage academy, I was trained in Swedish Deep Tissue, Lomi Lomi and Thai Massage. I excelled at deep Lomi Lomi massage. I had many recurring clients that I was able to help release stress and heal injuries. I truly believe that regular massage is a very important part of a good self-care routine to release built up stress and pain in the body. I feel so lucky to live on this beautiful island and share the healing energy of the land and water with my massage clients.